The world has just ended. Societies have collapsed. The government has fallen. What is the first thing you are going to do? You are going to read this article on how to survive a collapse of civilization and social order, of course! The truth is that no one really knows how to survive such an ordeal. Sure, governments rise and fall. Riots happens. Social order decays for brief periods of time. But in our modern history there really hasn't been huge collapses of entire civilizations. So no expert can properly say how you can survive such a thing. It all depends how people react. However, history of mankind has given brief glimpses on how people react when even small governments and countries fall, which can give us a clue on how to survive a large-scale collapse of civilization. This article provides information on how to best prepare for the apocalypse. The truth is people don't prepare for emergencies as well as they should. You may have a small first aid kit, food for a few weeks, and enough batteries for that one flashlight that barely works a month. When society collapses, so do the laws. Which means anything goes. Scavenge for supplies. Since there are no laws, thievery is something that will be needed to survive. This will be the first thing that most people will do. They will head to places like grocery stores, drug stores, etc. to obtain supplies by any means necessary. Be careful taking a car though! It could easily be stolen. Even during minor riots people go looting. Imagine how it will be like when society collapses. Arm yourself. When society collapses there will be no police that will protect you or your family. If you don't have a firearm, you will need to find one, with lots of ammo. It sounds brutal, but history has shown that people kill for less things than the survival of ones self. So obviously they would kill for some food or gas. You don't need just a gun either. Most anything can be used to protect yourself. Gasoline. Many places around the world are heavily dependent on gasoline. We use it primarily to get around in our vehicles. Once society collapses, that stuff will be hard to come by. Most times you won't have a stockpile of gas on hand, unlike food or medicine. So unless you ration how much you use, then you will want to get your hands on some gas when possible. What do you choose to go for first? That is for you to decide. It depends what happened to cause the collapse of civilization, how easy it is to get some these supplies, etc. These are the essential supplies for the end of the world. Notice how money isn't on this list? Money will be useless in the apocalyptic world. The Mt. Weather complex has an above ground FEMA facility, with a 600,000 square-foot underground facility, used as a backup for the U.S. government. It's rumored that the underground, three level, 580,000 square-foot facility serves as a shelter for politicians in the event of a disaster. There are only mostly rumors of what is inside of "Site R", but it's stated that it's an underground city that can house 3,000 people. Shelter will probably be one of the most important things you will need once society collapses. Your home won't be safe. People will break into your house. Criminals do it now even though they could be arrested. With nothing to hold people back and the necessity of survival being in their head, they will do whatever they can to find suitable shelter. Regardless of why society collapsed, finding the best shelter as possible is essential. Nuclear fallout. 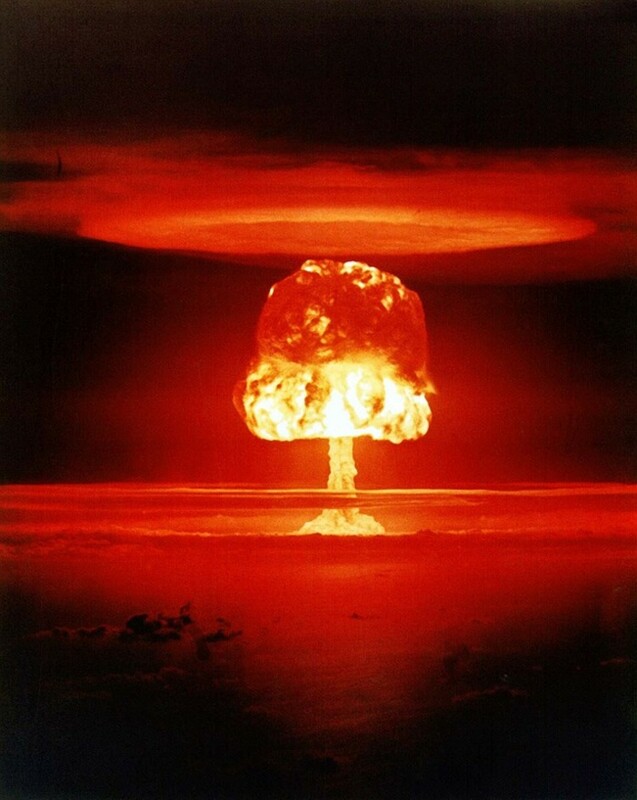 It's widely expected that the world will end in a nuclear war. If you are lucky enough to survive, maintaining residence in a nuclear shelter will be essential to avoid the threat of radiation or more nuclear weapon attacks. 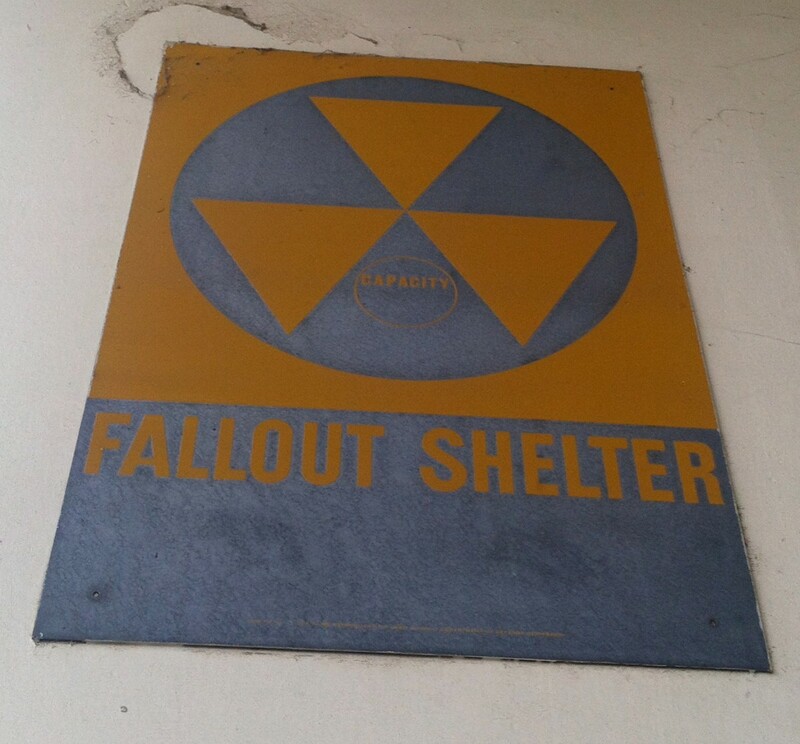 Most government buildings have some sort of fallout shelter, so learn where they are in your city. Most are clearly indicated on any building that serves as a fallout shelter. Security. You will want a secure location. Buildings that have no direct window access, heavy doors with heavy locks, and a building with walls around it. This will prevent unwanted guests from breaking and entering. Buildings with a vantage point to look out for any problems in your area would be beneficial as well. The elements. Earthquakes, tornados, and hurricanes are deadly even now. Most buildings are susceptible to the elements. You will need a location that can handle the beating of mother nature. If you lose your shelter, it will surely be hard to find another that is not already occupied. As hurricane Katrina and Sandy taught us, even with assistance from the government, people will still lose their homes. So with no government help, you will be in even more danger of having your shelter damaged or destroyed with no backup. U.S. Government shelters. It's known that the U.S. government has built various complexes and shelters around the United States for various reasons. The map above describes and indicates where some of the most secure and safe locations are. You can make the trek to get to them, but getting inside can be another story. But when the apocalypse happens, you may get lucky and walk right on in. Fortify your shelter. Even if you find a good location or decide to stay where you are at, then you will need to fortify your shelter as best as you can. The video below demonstrates how that can be done. Who can you trust whenever civilization collapses? Sure, you can try to trust your family, friends, and neighbors. But look what history as taught us. Friends turn on one another. Neighbors have bitter feuds. Family members have fights and stop speaking to one another. And this is in the best of times! If the world collapses in on itself, then I would be hesitant to trust anyone. Of course surviving alone can be difficult. So if you choose to trust someone, ensure you can trust them with your life, as that is what you are giving them. In the end it's up to you on how you should survive the end of all things. Do you maintain your humanity? Or do you do all you can to survive? Unfortunately as a human race we have proven we will sink pretty low to maintain the luxuries we have. So if you plan go the moral high ground, then it will be a hard road traveled. You can take the low road to cheat, steal, and kill to survive. But will you be able to live with yourself? A question like that can't be answered until the worst is to happen. So prepare yourself. No one knows what would happen, but a severe decay in society would probably be seen, but I think humans would adapt over time. Really good hub. I am always interested in survival articles. I don't think about this constantly but I have prepared several "bug-out bags" using old backpacks and I check them occasionally, rotating the bottled water and freshening the sell-by dates on the food. One weakness I see in our preparedness is keeping our cars full of gas. I have good intentions, but often I'm running on empty and I need to improve that. I've already told my husband what I want for my birthday next month: a folding shovel. One more comment; make sure all your tools are made in the USA. The ones made in China won't last. Great information for all of us. Hopefully it will never happen but if it does always be prepared for anything. Shelter is always on my mind if the worst were to happen. Glad you found it useful. Thanks for your comment! I love how you included the maps! You included good information and snagged a great title. Including a list of supplies and emphasizing the importance of shelter was great. Voted up! We live in fear right now. Drastic changes have to be made to undo that. But we are in the "best of times" right now. Imagine the worst of times. Your best friend could literally stab you in the back. I hope if the end times do come, we don't have to resort to such means. But our own history when dealing with minor disasters has shown me otherwise. You made me think and come back to take another look, We need to make people realize how important our efforts to avoid this type of scenario are, except for acts of nature, most of this can be avoided and we start by simplifying our lives, curing our addiction to instant gratification and reaching out to each other instead of living in fear of others. Interesting! I hope if it goes that far, I am taken out fast and painlessly and my entire family and friend circle with me. Surviving is not living no matter what Hollywood tells us.